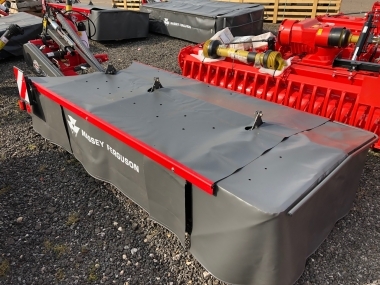 The MF DM 205, MF DM 246 and MF DM 287 provide a very sturdy and economical solution to the small and medium size farm without compromising quality and finish. 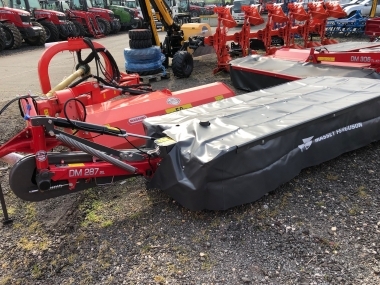 Ideally suited to farmers with low horsepower tractors or a limited amount of mowing to carry out, these mowers boast a host of features you would expect to find on larger, more expensive machines. Disc mowers with spur gear drive have great appeal thanks to their long working life and low operating costs. 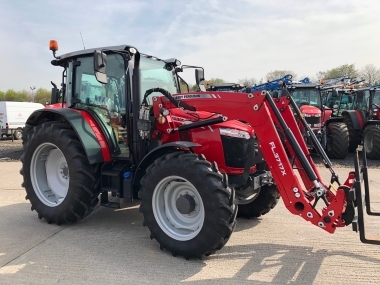 The lightweight construction maximises the yield even when smaller tractors are used because, with the disc mowers, considerably wider working widths can be achieved. Ease of maintenance is another positive feature these lightweight mowers offer. Every farmer knows from experience that foreign objects accidentally drawn into the mower can cause significant damage. 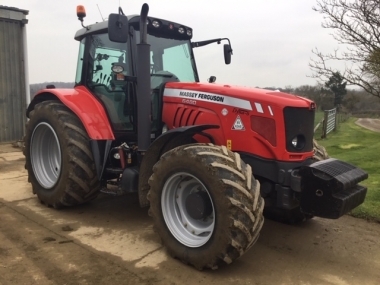 Massey Ferugson prevents precisely this kind of damage with driveGUARD® – a top notch overload protection system. When the mower disc becomes jammed by a foreign object the driveGUARD® shears off at the predetermined breaking points. This interrupts the power train and the mower disc turns freely. 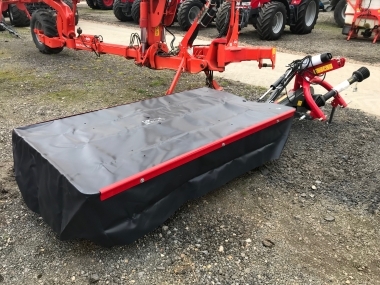 The driveGUARD® offers the customer extremely cost-effective and reliable protection because, once the mower has been fitted with one, only the throw-away overload disc will have to be replaced if the need arises. The Professional Series disc mowers feature individual compact angular gears that provide an extremely smooth power transfer to all discs, resulting in less wear than a conventional gear drive and ensuring a longer and more reliable cutter bar life. They also feature rupture protection for safety in the event of hitting a large obstacle. 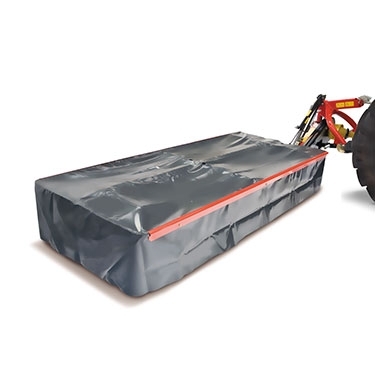 The wedge shaped bar provides the added benefit of a low cut and the ‘Big Disc’ design ensures a large overlap, which results in a clean cut even in the face of high volume and difficult crops. Infinitely variable ground pressure control, with the ability to change ground pressure on the move as field conditions vary. 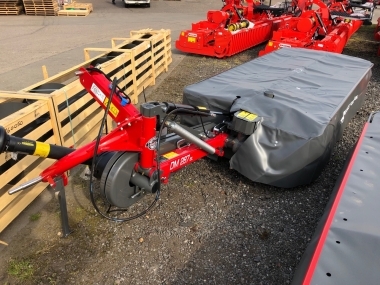 The MF DM 306 TRS and MF DM 408 TRS’s unique design facilitates wide mowing and narrow transport width without the need for high horsepower tractors. The proven compact angular cutter bar and KC conditioning unit provides an economical, productive and efficient result. The cutter bar is mounted at the outermost points on the sturdy support frame. 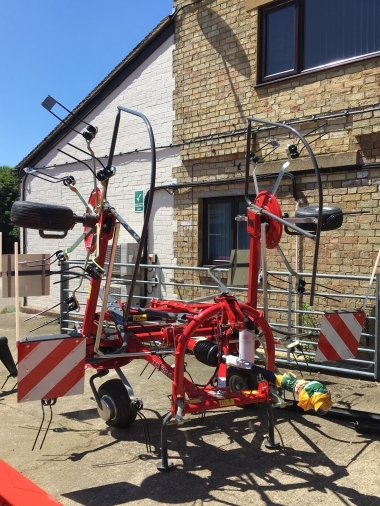 In conjunction with the parallel adaptation of the mower to uneven ground, the mower is reliably prevented from piercing the sward – for the best quality forage without contamination. 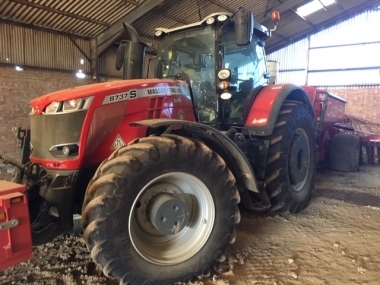 Due to the specially developed trailed suspension mounting of the cutter bar, the ground pressure is reduced to a minimum – whatever the pivot movement. 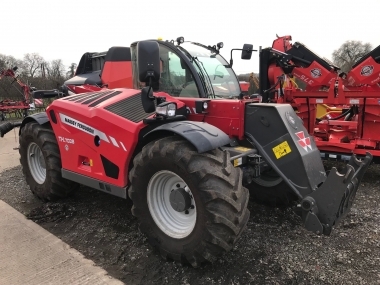 Excellent raking quality, easy handling and a durable design – these qualities give you good reason to buy a Massey Ferguson single-rotor rake. 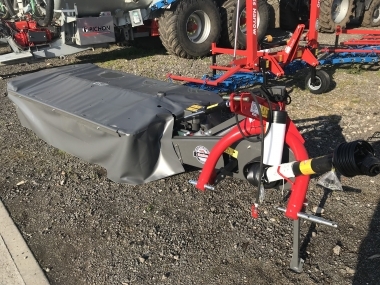 These days, large rakes are key machines in the forage harvesting chain – a failure can result in the stoppage of expensive machines, and could cause enormous costs. 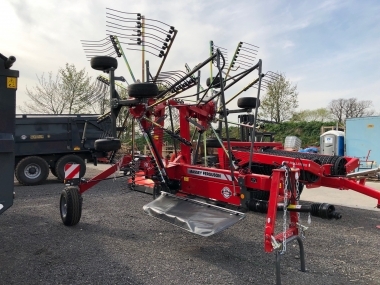 You should therefore entertain no compromises with your new rake and put your trust in quality and operational reliability. 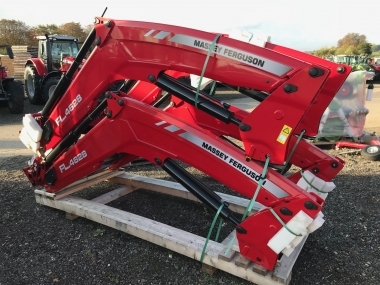 Massey Ferguson has combined its years of experience with the latest technical knowledge and, from these, developed a range of high performance large-scale rakes. 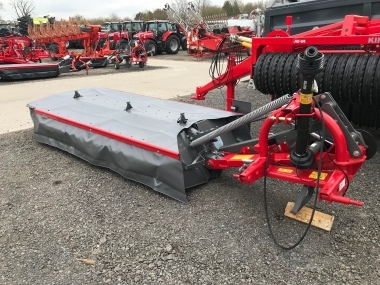 With its four rotors and a working width of 12.5 metres, this rake provides an optimum swath and, as a result, optimum capacity utilisation. Only equal-sided tines allow you to achieve an optimum mixing of your highquality forage. This is known as the comb effect since, during the process the different layers of forage are perfectly mixed together and turned, providing the optimum production of high-quality forage. 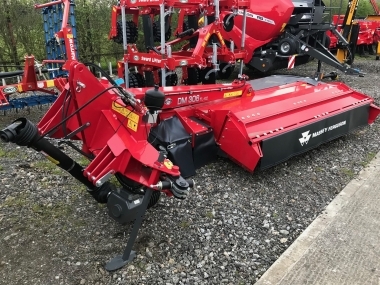 Tines with sides of equal length also provide the benefit that you do not need right-hand and left-hand tines but only one kind of tine, which makes spare parts management easier. buy every original Hay & Forage Tools part online.